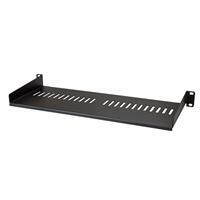 This 1U rack shelf lets you add 7 in. (17.5 cm) of flat storage space to any EIA-310 compliant server rack or cabinet. 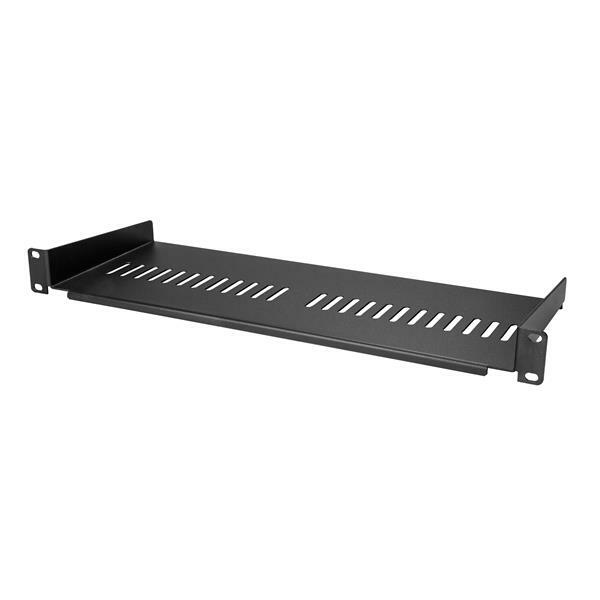 The shelf is vented to improve air flow and help lower temperatures in your rack. 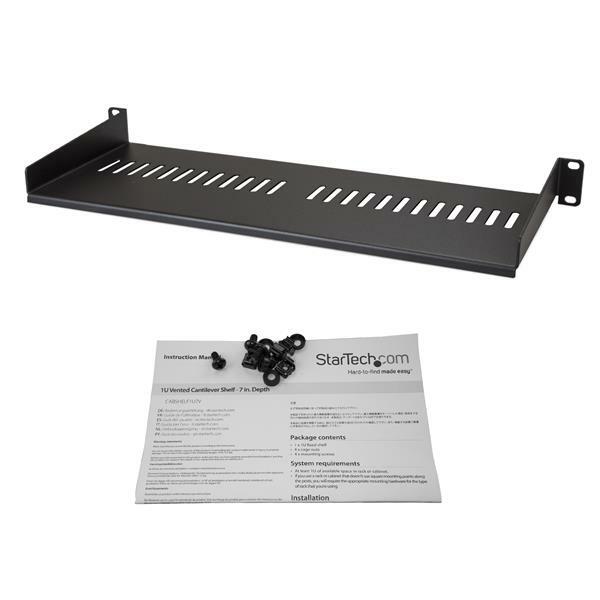 The durable fixed-rack shelf can hold up to 44 lb. (20 kg) of equipment and is constructed using SPCC commercial-grade cold-rolled steel. 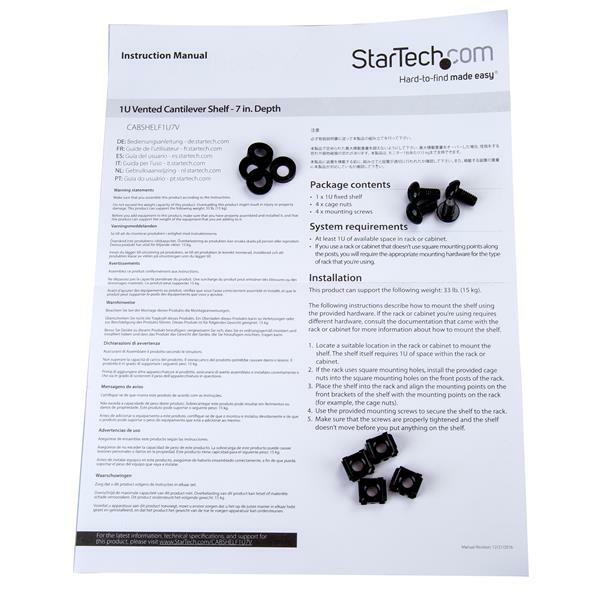 The CABSHELF1U7V is backed by a StarTech.com lifetime warranty and free lifetime technical support.